The securities turnover at the Baku Stock Exchange (BSE) on January 25 made up 6.4 million manats, according to the statistics published on the stock exchange’s website. Bonds in the secondary market made up most of the transactions. Deals on manat bonds of the Ministry of Finance of Azerbaijan and BOKT Embafinans LLC, along with the US dollar bonds of the Azerbaijani state company SOCAR, were concluded during the day. Deals on the bonds of the Ministry of Finance were concluded at prices ranging from 93.7219 to 113.1124 manats per bond, of BOKT Embafinans LLC for 1018.3766 manats, and of SOCAR for 1,032 manats. 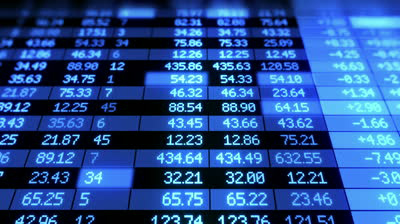 The volume of transactions in the secondary stock market of the BSE amounted to 3,076 manats. In a day, deals were made on the shares of Texuniversal OJSC, "Azərneftkimyaqurashdirma" OJSC, and Sheki-Bazar OJSC.